We had a very good experience with Genevieve. She arrived at our hotel early and we planned out our trip around Paris. We decided to use public transportation so we could become familiar with the system and Genevieve was very helpful in explaining the routes and points of interest. We moved around for five hours visiting various places of interest. Genevieve also included an visit to the top floor of a high end department store which offers a great view. We were very happy with this experience. We were a group of 14 family members, with ages ranging from 2 to 72, visiting Paris to celebrate my birthday party. We were blessed to have had Genevieve for our guide: a cultured, well travelled and a real woman of the world. She was patient, funny, warm and was able to customize a program that catered to all our needs in spite of the big range in ages. Hers was a trip that went beyond the touristic to include the authentic touch of all that is locally and typically French. Knowledgeable regarding the city but that's about it. More concerned about what's happening around her in the bus or on the subway train. Fabulous tour by a superb guide. I highly recommend Genevieve as a tour guide for anyone visiting Paris … especially a first time visitor. She is warm, friendly, knowledgeable and very flexible. She is well travelled herself so she can provide useful insights what to do, where to go, where to eat, and the best ways to get there. Genevieve is the best … we plan to be pack in Paris in June and expect to tour with Genevieve if she is available. Genevieve was a wonderful guide in this beautiful city!! Very knowledgeable and pleasant! We highly recommend her, and look forward to working with her again. Tres bien!! Genevieve is a very kind and friendly. She showed me various faces of Paris and took me to interesting spots that I had never imagined. I enjoyed listening to her and talking with her. I had a wonderful time! She made me very happy and I came to love Paris more and more. I hope to come back to Paris in the future and to walk with her. I'm sure we can enjoy ourselves. We had a delightful tour with Genevieve who demonstrated excellent guide skills navigating the sites with ease while sharing their history with great knowledge, engagement, and humor. We experienced the beauty within and tasty treats of a department store, received a "locals" suggestions of extra things to do, and have photo memories due to her wonderful photography skills. In return we left Genevieve, a highly recommended guide, an unparalleled memory of a Southern girl's meeting with a pickpocket. Although our arrival was delayed, Genevieve was able to make up for lost time. We visited all of the iconic landmarks from Notre Dame to the Opera House. We sat outside a cafe sipping coffe and bought pastries from a patisserie. We also stopped at a food market to purchase bread and cheese for the train ride back to London. We rode the metro and buses just like the locals and Genevieve was a fountain of information. In a few short hours, we created very special memories. Genevieve is the best! Genevieve gave my wife and I a truly amazing walking tour of Paris and all of its "must see" monuments. She met us at our hotel and inquired about our prior visits to Paris and what we wanted to get out of the tour. It was very "personalized" and 100% perfect for what we wanted, a nice mixture of seeing the sights, having a superb lunch at a Bistro followed by a stroll through the charming St. Germain and the Latin quarters. Genevieve took many pictures using our cell phones giving us memories for life! We threw a lot of curve balls at Geneviève today. 97 degrees. Sick kid that stayed at hotel. Melting teenagers. She handled it all with professionalism and flair. She even took the teenage girls shopping because that's all that sounded good with air conditioning. The info was great but her ability to adjust magnificent! Highly recommend. Great full day tour, seeing all the sights of Paris. Found Genevieve to be very knowledgeable and insightful and knew what would be the best way to maximise our time in Paris. Would thoroughly recommend her to anyone visiting Paris, lovely lady. Genevieve was amazing! Lots of great knowledge about Paris, but not boring and stuffy. We inadvertently booked our tour on Bastille Day, which meant it was a little challenging to travel to some of the "regular" tour sites. Without hesitation, Genevieve shifted the day, so we could see as many sites as possible. She kept things moving and entertaining...we laughed a lot! Do yourself a favor and book a tour with Genevieve...you will not be disappointed! Our family , including two teen girls, thoroughly enjoyed Genevieve's tour of Paris. It was on our first day in Paris and she really helped us get comfortable & familiar with getting around and giving us ideas on where to go back to. She is a master of thinking quickly on her feet, adjusting the tour as needed. A real pleasure to be with and very knowledgable. It was a perfect way to start our vacation in Paris. I will definitely try to book a tour with Genevieve on our next visit. What a great day in Paris! We covered so many sights and enjoyed learning about the history of the city. Geneviève was so knowledgeable and knew how to navigate the city. She taught us how to use the bus and the Metro. The tour was a great introduction to Paris. We highly recommended Genevieve as a tour guide! Excellent tour guide, knew Paris well, willing to customize tour to meet our needs both before and during the tour. Highly recommend Genevieve to others. Genevieve lets you set your own pace and decide what to see and not see. WE had an enjoyable day with her. Genevieve is a must to become familiar with Paris, it's well known places and those many lesser known gems such as local restaurants, secret shopping areas, folklore stories and insight into Parisian life. She is kind and patient and also has an eye for those "Kodak" moments. Having used guides in many cities, I can honestly say that she is not a clock watcher and enjoys herself as much as we did. Our walking tour with Geneviève was perfect. It was exactly what we were looking for and when we return to Paris we will definitely book another tour. Genevieve was very knowledgeable on the history of Paris and what it is today. We toured several areas of the city giving us the confidence to move around freely on our own with confidence. We spent 11 days in Europe and this was the highlight of our trip and the wonderful pictures she took of us will be memories we cherish for years to come. Genevieve is a great guide-knows Paris well, adapted our tour during the day for bad weather and teenager requests (shopping, eating crepes in local spot). She prepared us for the rest of our week in Paris as we went back and spent more time in neighborhoods and parks she introduced to us. Also wanted to take a cooking class, she set up a macaroon cooking class and all the other participants were local Parisians - very enjoyable nice, fun-highly recommend! Excellent guide! highly recommend she and tour! Genevieve was so perfect! She was flexible and always easy to contact. She taught us how to use the metro and bus system. She has so much energy and knowledge. I think a walking tour to the major areas of Paris is great for your first day in the city. Genevieve helps you to quickly get comfortable in the city. We are so grateful for the experience she gave us. The tour itself was excellent, but the help it provides throughout the remainder of the stay is invaluable! WE HIGHLY RECOMMEND! Genevieve was fantastic! We asked for her to show us around Paris and she did a phenomenal job. She met my wife and I at the hotel at 10am and took us all over Paris until 3pm. She created an amazing experience and took photos of us the entire time. She has a great spirit and love for Paris. Genevieve was a wonderful guide. Truly loves the city as was evident as she took us around the city. She developed a tour around specific interests we had, as well as hit the iconic landmarks. Took us to many off the beaten path areas to give us a great vision of local Paris. Would definitely recommend her to anyone interested in an introduction to Paris. We started our first trip and first day in Paris with Genevieve at our apartment in the St. Germain district. We walked to Notre Dame and she asked us questions that helped her formulate a game plan for the day. Because it was our first trip, she wanted to give us a wide view of the city. I would encourage people to start their trip with her; by the end of the day we knew so much that we felt comfortable around the city. Genevieve was perfect! She taught us Paris, Art, Food, Culture & Metro. Genevieve far exceeded all of our expectations!!! The tour was outstanding! Genevieve was very personable and added the local touch I crave! I hope she will come visit me in Charleston SC so I can show her my beautiful city to her just as she portrayed Paris to me! Thank you for making Paris unforgettable! We had one day to see Paris and Genevieve made it happen for us. We saw everything we wanted, and more. She even asked us what our plans were for the rest of the day and gave us ideas for restaurants, etc., and showed us where the bus stops were we would need, and then called us later to check up on us. Thank you, Genevieve, very much ! Genevieve gave my daughter and me a very personal tour of Paris. It is wonderful to see Paris through the eyes of someone who knows and loves the city as much as Genevieve. I could not imagine seeing the city without the personal and historical stories that she so splendidly shared with us. Genevieve was great. We wanted to do something different, so she took us off the beaten path on a tour through Monmartre, seeing where the greats worked. She also made sure we hit some of the main sights. It was a pleasure. She is knowledgeable and street-wise. We had an incredible tour with Genevieve. Being a family of 7 with our age group ranging from 10 -74, Genevieve made sure that all of us had a wonderful time exploring Paris. The highlight of the tour for my kids was of course the visit to the PSG stadium on their request!! Genevieve is an extremely kind, knowledgeble and humorous guide. Overall, we were very satisfied with her tour AND the fabulous photos that she helped take for us too.Thank you Genevieve! !Hope to meet you again soon. Geneviève was terrifically helpful in providing a first day orientation to Paris. In addition to showing us some of the major sites, she also identified great places to eat in our neighborhood, made sure we understood how to use the Metro, and assisted us in getting the right Museum Pass for the week. Very helpful! Genevieve was a great guide. She accommodated to all my needs and went above and beyond to make sure that I arrived at the destination ok by talking herself with my taxi driver and making sure I took the correct bus after the tour. She is very knowledgeable of the history of the landmarks of Paris and was a great friend to spend the day with in Paris. I had a very short time in Paris but thanks to Genevieve I got a very good overview of the most important sites. She is also a great photographer!! We can not recommend Genevieve more highly. We emailed her prior to coming about our tour request and she was excellent in all respects in customizing our tour and was always very prompt in responding. Her knowledge about Paris seems endless. She was a delight and we felt like close friends when we parted. Genevieve was a fantastic guide! Her comprehensive knowledge of Paris and ability to conduct the tour at a perfect pace turned our long layover at CDG into a highlight of our trip. Well done! Highly recommend! Genevieve was the best tour guide ever! She went above and beyond to accommodate our family of 6 from the USA, including arranging a breakfast for us on the morning of our arrival into Paris. Her tour is a perfect way to get acquainted with the major sites of Paris. Our highest recommendation! Genevieve is a fantastic guide! She taught us so much about the construction and reconstruction of Paris - from the city layout to the builders' influences. Genevieve walked us through the history of the Parisian landmarks and introduced us to the City's modern customs. She made sure we understood how to move about the city and insured our safe return to our hotel. A very full, wonderful day. Thank you! Genevieve was so great, we enjoyed her tour of Paris tremendously. We liked her and found value in her knowlegde, she helped us feel comfortable in this huge city, she made our time with her feel special and included interesting aspects which will help us to negotiate the city and enjoy the local food and localities with much more understanding. 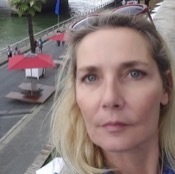 We would recommend her to anyone visiting Paris who enjoys understanding its history, with the many wonderful places to visit, and an array of yummy food to try. Genevieve was so much fun as well as informative. I asked her to refrain from the main touristy spots. We went to well known areas but because we started early, we nearly had the places to ourselves. I have a ton of great pics as she is more than willing to snap some memorable shots. I learned quite a bit of French history as well. I can't say enough wonderful things. She is organized and will map out your day perfectly if you tell her what you want to see. Well worth it!! Genevieve is a friendly, personable and professional guide who took the time to learn what we wanted to see and do in our 5 hours. Then she customized our tour to ensure that we saw and did everything on our list at our pace. Two of us had visited Paris many times before, and this was the first visit for one. Genevieve made the tour fun, interesting and relevant for all of us. And her dining, shopping and sightseeing recommendations were spot-on. We will definitely engage her again on our next visit! If you want to cover the most ground in Paris as possible then Genevieve is for you. She is friendly and knowledgeable and we loved our time with her. She is just awesome!!!!! Genevieve was a great guide. She spent three days with us touring Paris. She is very knowledgeable and friendly. She took a lot of photos of our granddaughter which made her trip very special. She also told us about wonderful places to eat and visit on our own after our tour ended. We were able to see all of the places we had on our list prior to our visit plus a number of places we would not have visited without her guidance. We highly recommend Genevieve for your visit to Paris. Genevieve led an amazing tour! I highly recommend her. We enjoyed it so much, we are booking a second day with our new friend! Genevieve was great! Our tour was a fun and informative way to begin our time in Paris. She made many useful suggestions about dining and transportation, and was very knowledgable about history, landmarks, etc. She was also patient and enthusiastic with our three children (ages 15, 13 & 8). We absolutely would recommend her to a friend. Thanks Genevieve! Our Paris tour guided by Genevieve was outstanding. We especially enjoyed her enthusiasm, great sense of humor, knowledge of history and flexibility in meeting our special requests. She has my highest recommendation for anyone visiting Paris! Our guide was super,went above and beyond expected program. Her enthusiasm and knowledge of the area combined to give us a great your. Genevieve was an excellent tour guide for our family of six ages: 6,21,32,,45, 65! She was bright, friendly, knowledgeable and flexible, a true blessing for our diverse group. 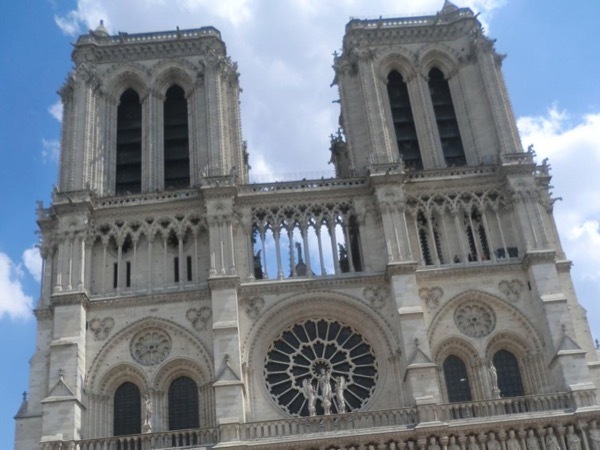 We enjoyed a tour of Paris using a collaborative itinerary, but she will provide her own for you if you are a first time visitor as were some members of our family. I appreciated her astute recognition of the little ones tiredness, and her ability to coax and cajole us through an exciting day. Thank you Genevieve! What a wonderful day we spent with Genevieve. Knowledgeable, caring, and professional in every way. We spent five hours with her on a private, individualized tour of Paris by car and she did not miss a thing! Her tour was efficient and we made the most of our time spent with her. Her recommendations for meals was much appreciated and she even directed us to exquisite food markets and helped us with our selections. Extremely enjoyable tour. Eye-opening experience of Paris and Versailles. Madame Genevieve was excellent and provided lots of valuable information to us first time visitors of Paris. Was very accommodating, flexible and patient. Also have to mention that she showed us the best places to buy cheese, french bread and other local delicacies. Can't recommend her highly enough. My family of 5 are first time visitors to Paris and Madame Genevieve proved to be the best guide to take us around. She was very accommodating, flexible and very knowledgeable about her city. We can't recommend her highly enough. Also special mention goes to Muhammad, the private driver employed by Madame Genevieve for taking us around Paris. Genevieve was outstanding and not only showed us the tourist side of Paris but got to know us and showed us parts of Paris that interested us and we would never had seen or done without her. We gave her total freedom to run the tour because that is what we paid for and so glad we did! Funny, knowledgeable, took great photos of my husband & me. The best guide we've ever had & we travel a lot. Highly recommend. Genevieve was knowledgable and playful and the perfect person to introduce us to the city! She adjusted the itinerary to our needs and was great at selecting and setting up photo opportunities. We loved our tour with Genevieve. 5 out of 5. If you want to get to know your way around Paris and see the major sites in 4 hours this is the tour to take. Genevieve was a true delight and one of the highlights of our trip to Paris. She was extremely knowledgable and did everything she could to make our tour worthwhile . On a number of occasions she took extra time to make sure we had what we needed to get around the city. We loved our time with her ! Genevieve was an outstanding guide and my wife an I would highly recommend her to anyone. We became comfortable ride the metro and buses. She pointed out the places to see and recommended places to eat. She spoke excellent english and when she took us to the roof patio of Lafayette Square next to the opera we were amazed. A excellent view of Paris. She did ask if we had any specific requests and we said its her city and we trusted her judgement; we were very happy with her tour. Our group was so glad we scheduled this tour - it was definitely a five star experience. Genevieve was absolutely wonderful. Instead of the "main" attractions, she took us to neighborhoods and markets we wouldn't have found on our own, organized a picnic by the Seine and taught us to use the buses to get around on our own. She knows Paris and its history and is friendly, engaging and a superb guide. Highly recommend! Gen was particularly attentive to our 11 & 13 year olds and made tour interesting for them.We would use her again and not hesitate to recommend her. Thank you for showing such interest in us and making our trip fun. We are family of 3 with a young child (6 years old) and the "whirlwind" tour of paris with Genevieve can only be described as "Magical". We were promtply picked up and efficiently guided around the landmark of Paris whilst at the same time, taking in the beaten track that are of special interests to us. Genevieve was thoughtful, knowledgable, considering, and caters very well to the specific needs of her clients, she would be the person we return to if and when we visit Paris again. This tour was absolutely fabulous. Genevieve is so friendly and flexible. She really knows her way around the city and was willing to take us to see all of the things on our list. She told us so many things about the history of Paris. It was so much fun. She told us how to get to our restaurant in the evening and helped us with transportation to the airport. We had my inlaws with us and she was so helpful in accommodating for them. This is a tour you cannot miss. I would highly recommend! Genevieve was charming, entertaining and informative. She followed our request to get a good overview of the city and its sights to the letter. We covered a lot of ground and then felt confident to get around Paris on our own during the following days. It was a perfect introduction to the city. Genevieve led us on an outstanding tour. She is energetic, and totally focused on giving us the true "Parisian experience." She went the extra mile to give us time to explore after the tour, and have the driver pick us up several hours later. We were referred to her by a friend, and I would highly recommend her to you as well. We were totally satisfied! Excellent job showing us the non-tourist sites of Paris..
Genevieve was great. Very knowledgeable, very lively and excellent English. Highly recommended. We very much enjoyed Genevieve's tour. She was so lively and energetic, which was what we needed after arriving in Paris on an overnight flight. She gave us an excellent overview of Paris, as well as some great tips how to use the public transportation system. I would highly recommend Genevieve without reservations. Genevieve is an excellent guide, knowledgeable about both the city's major sites and the lesser known gems around Paris. She also arranged for some changes specific to my trip that made it extremely memorable and special. I recommend her as a guide with complete confidence that you will love your stay in Paris even more because she was part of the experience. Genevieve provided our family with the best 2 days in Paris. By spending 2 days with Genevieve we were able to see the major sights and the hidden treasures. Genevieve provided us with fabulous dining options and arranged a very special birthday dinner for us. Her love and knowledge of Pairs was apparent. Not only did she take care of us while we were with her, she made certain that we knew how to navigate the city without her. Meeting her will be a fond memory. We all had a wonderful day with Genevieve and George ( our driver ) the tour was both fun and informative and we would not have been able to see all the sights that we did unless we did this tour. Genevieve was especially knowledgable and got the whole family involved. I would highly recommend both Genevieve and Tours by local to family and friends . A great day had by all Merci. very nice and informative. was able to taylor tour to meet our needs. Genevieve clearly loves her city and will provide you with a enthusiastic and insightful trip. Trust her judgment on everything and you will not be disappointed. My husband and I enjoyed everything and everyplace we visited. And we have more photographs of the two of us in Paris than on any other trip we've taken! We highly recommend her!! With Genevieve, we saw everything that we wanted to see and got to do everything that we wanted to do. She was simply amazing! If you do Paris, do it with Genevieve!!! Genevieve customized the day to exactly what we needed and adapted her plan as the day unfolded. She is personable, flexible, and extremely knowledgable. Very easy to get along with. Definitely would hire her again.